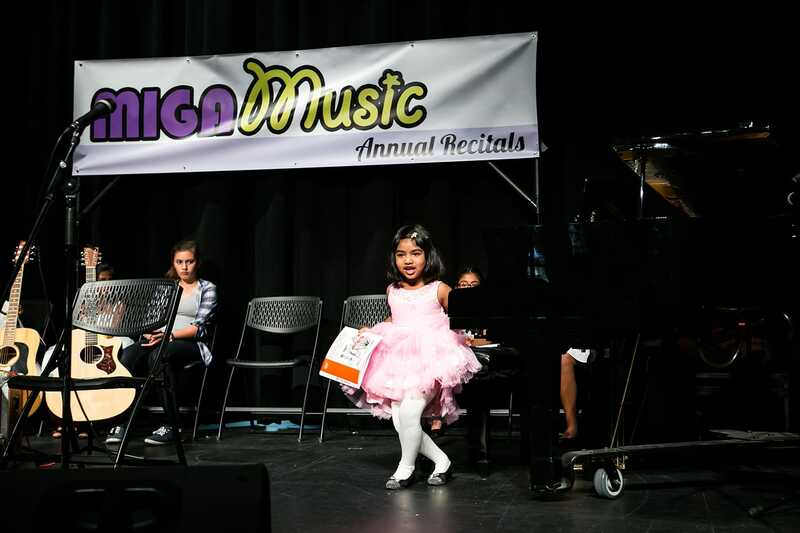 Recitals are an amazing experience for both parents and students. It is a showcase of talents, an ultimate self esteem builder. Children will learn to feel comfortable performing in front of an audience. Let’s face it: The fear of public speaking etc. is present in many of us. Give your children the benefit of getting used to it from a young age. They will grow up to be ready to face the world. Even well known stars will confess that their hearts are pounding and they are inevitably nervous before each and every one of their performances. But somehow, they learn to convert that adrenaline rush into something that makes their performance even better. This, like any other skill, is learned by repeatedly trying and doing it. Our recitals give children the chance to get through these experiences and they get better at it each time they do it. And then, after that successful performance, they can take a bow with pride. Time for a group photo! 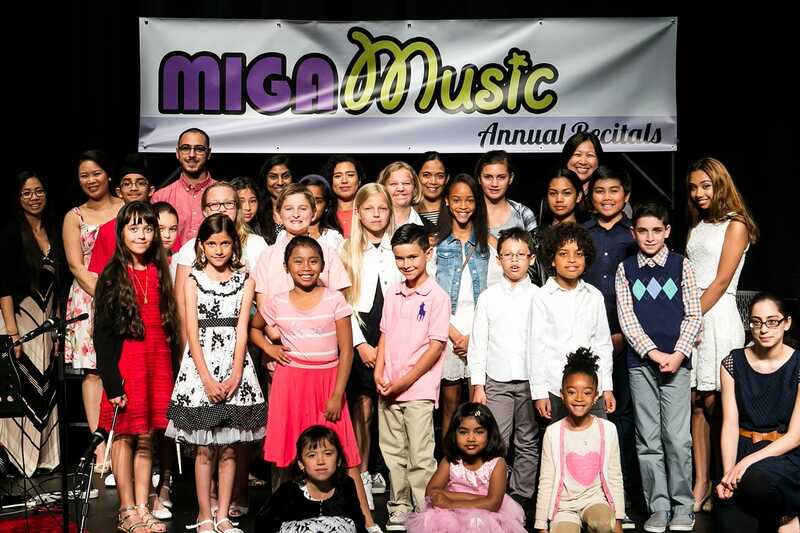 Due to the sheer number of our students (over 460 as of September 2018) we now organize at least 6 recital events over 3 Sunday afternoons in June of each year. The above group of performers is from one of our June 2016 Recitals. Time for a group photo! 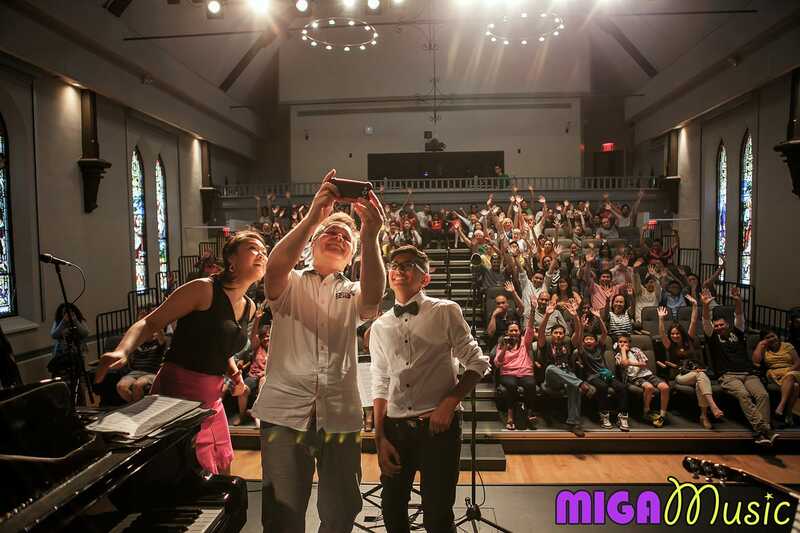 Due to the sheer number of our students (over 350 as of September 2016) we usually organize at least 4 recital events over several Sunday afternoons in June of each year. The above group of performers is from one of our June 2016 Recitals. © MIGA Music 2016. Developed by Dave Gomori.